[HollywoodInvestigator.com] An event traumatizes a young boy. He becomes a crazed killer. Years later, some city folks rent a cabin in the woods. Unknown to them, the boy, now an adult, lives a savage, cannibal existence in those woods. The city folk invade his turf. The body count mounts. 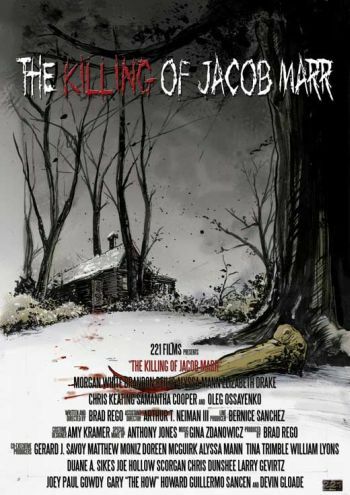 Writer/director Brad Rego admits that the basic premise and plot of The Killing of Jacob Marr will be familiar to slasher fans. "There are obvious call backs to the classic 'kids in the cabin' or slasher type movies, like Friday the 13th, Halloween, and Evil Dead. Telling a version of that subgenre is exciting to me. It's such a visceral type of horror tale. The characters must weigh perceived enclosed safety, with the possibility of escape to wide open danger. It's a pure survival story." Yet unlike Evil Dead, which is known for its frenetic energy, Jacob Marr is a slow-moving film. After the initial kills, the pace relaxes into 30 or so minutes of character exposition. The friends banter as they leave work, drive up to the cabin, buy supplies, and settle in. 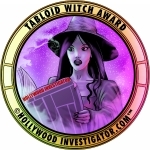 "Something I have been missing in a lot of recent horror films is the lack of relatable or sympathetic characters," Rego told the Hollywood Investigator. "I'm a huge proponent of story and characters. What affects me most is when I care about a character and understand their motivations. I become emotionally attached to them. My investment in the film is stronger for it. That was the approach I took to this movie. "I didn't want to just throw the classic stereotypes at the screen. The killing is fun, but I wanted the audience to feel something for these characters. That way when they die, it isn't just laugh it off and forget about them. I wanted the weight of that kill to be felt. The idea is to root for these people, not for their death -- to make the connection between the movie and audience stronger." Some of the characters' romantic relationship dialog is mature enough for an indie film, the sort seen on the Sundance Channel. Other times, their dialog ranges from witty banter, to vapid filler, to a sort of self-aware/self-referential horror talk popularized by Scream. Dan (Brandon Beilis) says he's seen too many horror films to just go outside and search for the killer. 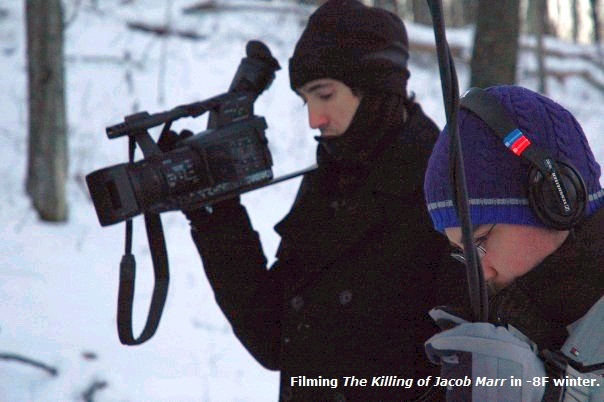 Jacob's Marr was shot in the pristine wintry woods of upstate New York, but its tale is set in Maine. "I'm a huge Stephen King fan," said Rego. "Also, I grew up in Massachusetts, and have camped in Maine many times. Most people went to New Hampshire or Vermont to camp. Maine just seemed untouched, more rural to me. Scarier. "It was very difficult at times. During the outdoor scenes, the temperature dropped sometimes to as low as -8F. I would throw on as many layers as possible. The actors had the added difficulty of not wanting to look like Stay Puff Marshmallow men or women. They couldn't wear too many layers and had to resort to lots of Hot Hands packages strapped to their bodies. It snowed almost constantly. Great for continuity, but tough for filming in. "As I knew we were in for hard shooting conditions -- we all slept in the same cabin we were filming in -- I wanted people I could trust to come on board 100% with no attitude. Alyssa Mann, who I had known already, was the first cast. From there I only auditioned people that were recommended by cast members or people I trusted. After most of the cast was set, the few remaining people were found with an open casting call through Mandy.com." The Killing of Jacob Marr was shot on a Panasonic HPX-170, recorded in HD 720/24p. It was edited with Adobe Premiere. Special effects were created by Adobe After Effects. Rego planned to spend $12,000, but estimates the final production cost at $20,000. "I raised about $8,000 through a few friends coming on as investors, some raffles that I held, and selling anything that wasn't nailed down in my apartment. Enough to get me through the bulk of filming in the cabin, which was over six consecutive weekends in January and February. "After that, I turned to Kickstarter to raise $3,000 to finish the film." That put the budget at $11,000. "But I expanded it to $15,000 to get the film professionally sound mixed. However, the first mix was not satisfactory. I had to walk away from the sound mixer, and a couple of thousand dollars, to hire someone else to do it. "It’s a shame there are a ton of people willing to take your money and not deliver a good product. Anyway, the second person to mix it was fantastic. I wish I had come across him first. The result of paying for two mixes ballooned the budget to almost $18,000. After some additional expenses, the number is about $20,000. Most of the additional $8,000 after the original plan was my own money." Rego studied film at the New York Film Academy. "It was more of a workshop course than a degree program." He returned to Massachusetts to work in IT while making films on the side. He eventually left IT and now works as a freelance cinematographer "continuing to work toward my next film." Asked about The Killing of Jacob Marr's distribution history, Rego laments, "The answer is kind of depressing. Probably more indie filmmakers come across this than should. For six months after the movie premiered in October of 2010, we searched for a distributor. We had five or six companies willing to distribute it on DVD and VOD. "The problem was, the one I chose ripped us off. They got the rights, then refused to release the movie or sell it to anyone. I have since learned they have done this to a number of filmmakers, and am currently in a legal battle to get back the rights to the film. The lesson to be learned is to make sure you research distribution companies as thoroughly as possible. Contact other filmmakers that have signed with them. Do as much investigation as you can, because once you sign the rights over, it's out of your hands. "We are hoping to be able to get the rights back soon. 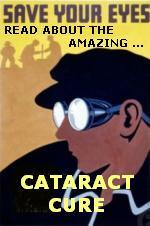 Currently though, we are offering an HD digital download of the movie on our 221films.com website for five dollars. "We are seeking investors for a new horror film -- a creature feature called Cryptid. It's been written and we have a preliminary budget drafted. The plan is to continue along the lines of Jacob Marr, in delivering a typical horror film subgenre, but making it more character driven. A storyboard animation of the opening sequence, along with concept artwork, can be viewed on our Facebook page."